Friends make your kids lunch box more attractive by simple ideas. 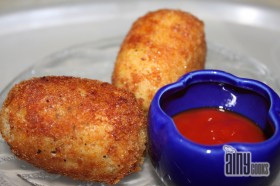 I am sharing a very simple and easy recipe , in no time you can make it. These are pinwheel type of rolls. Remove corners of bread and use rolling pin to press it down. It will become thin, bread should be fresh and soft. 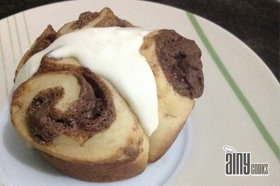 Spread thin layer of chocolate on bread and roll it carefully. Cut the rough edges, you can divide in two halves. 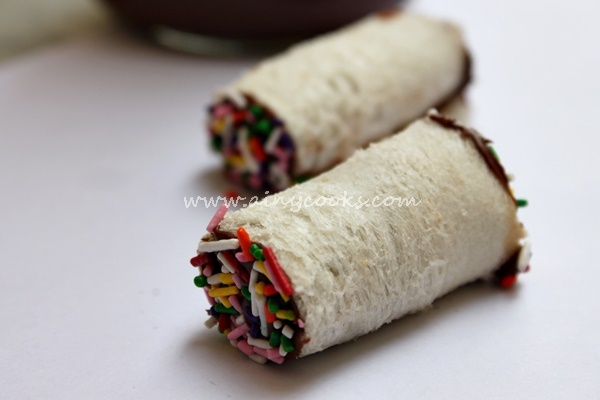 Spread chocolate on edges of bread roll and dip in sprinkles. You can use any jam or jelly which is your kid’s favorite. 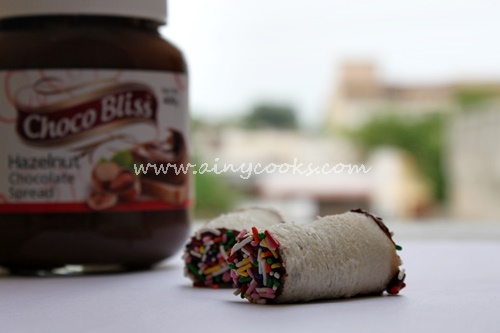 Wrap in cling sheet and give your kids in lunch box .